With the countdown to ISM2019 in full-swing, what better way to prepare for the premier supply chain event of the year than by spotlighting one of the keynote speakers, Carly Fiorina. Born in Texas, Carly attended Stanford University, later going to UCLA Law School before dropping out to pursue a career in business. While working as a secretary for a real estate firm in the 1970s, she managed to break the glass ceiling, becoming one of the company’s female brokers. By the 1980s, Fiorina moved on from real estate and into Telecomm, joining AT&T. Eventually, she worked her way up the food chain, becoming the company’s first female senior VP overseeing hardware and systems; gradually, she become head of AT&T’s North American Operations. In 1996 she oversaw the IPO for Lucent Technologies, an AT&T spinoff that debuted at a record $3 billion. Fiorina’s success enabled her rise into CEO of Hewlett Packard, becoming one of the first woman to head a Fortune 20 company. Fiorina’s ascent did not escape controversy: her three major strategies as CEO included replacing profit sharing with bonuses for meeting company financial goals, limiting operating units from 83 to 12, and limiting back-office functionality. This change in culture led to layoffs and drastic backlash; despite these difficulties, Fiorina claimed her decisions were intended to help move HP forward into the digital age. Besides business, Fiorina also gained exposure on the political stage: besides volunteering for John McCain’s 2008 presidential bid, she also performed unpaid work for the Pentagon, and ran for U.S. Senate in 2010, losing to Democratic candidate Barbara Boxer by 10 percent. Most recently, Fiorina ran for president in the 2016 election against conservative candidates such as Marco Rubio, Ben Carson, Donald Trump, among others. 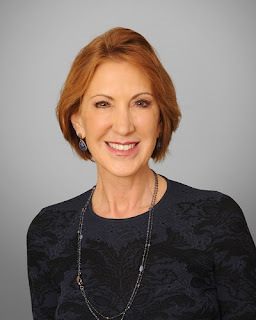 Interested in learning more about Carly Fiorina and her business acumen? Don’t miss her presenation at ISM2019. Headed to ISM in April? If you're a senior supply chain executive, you won't want to miss ExecIn. The two day sub-conference features a high-impact agenda for non-consulting organizations with an annual revenue of over $1.2B. Including private keynote presentations and sessions centered on talent and supply management strategy and trends, ExecIn is a must-attend component of ISM2019! To learn more about participating, contact Carole Boyle (cboyle@corcentric.com).